Kahala is a Honolulu neighborhood, located at the eastern end of Diamond Head, along the Southern coast of Oahu. Here you’ll find some of the most expensive real estate in Hawaii, with home prices in the millions of dollars price point. Kahala is filled with many mansion-like houses, with beautiful lawns and decorated with palm trees and tropical flowers. Many celebrities and business moguls have their vacation home in this area. 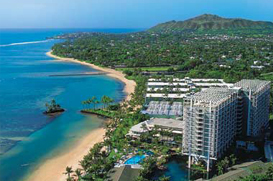 Kahala is also a favorite location for investors. Amenities in Kahala include the luxurious Kahala Resort and Hotel, which lies on beautiful grounds, complete with a small man-made island offshore, and a dolphin lagoon, where a handful of dolphins live. Kahala Mall is another community amenity featuring many stores and restaurants. Kahala also boast many beautiful beaches.